Approximately 25,000 people attended the Copley Square protest Sunday. The protest was organized by the Council on American-Islamic Relations. The travel ban is currently set to last 120 days. Many brought their children to the protest. About 25 leaders of multicultural organizations, including Flawless Brown and Emerson’s Black Organization with Natural Interests, had scheduled the retreat to talk about how they can have a positive impact on different cultural communities, Tamia Jordan, director of intercultural affairs, said. 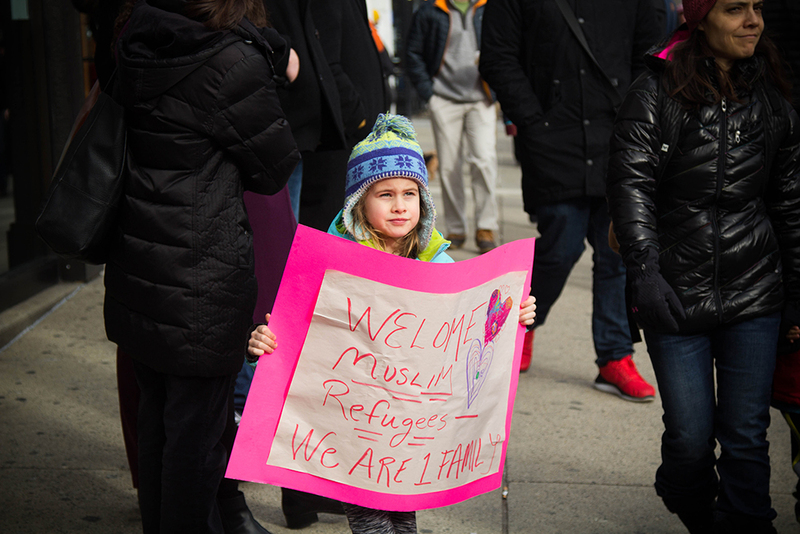 The students, along with thousands of other people, rallied against President Donald Trump’s executive order banning immigration from seven Muslim-majority countries. According to the Council on American-Islamic Relations, the organizers of the protest, approximately 25,000 attended the protest. Muslim student Yassmine Hammoudi, a senior visual and media arts major and executive board member of Flawless Brown, said the protest showed a lot of unity. Jordan planned to lead the workshop, but she said she felt conflicted between her personal responsibility and her desire to be an activist. Sylvia Spears, vice president for diversity and inclusion, was supposed to speak at the retreat, but she told the students she wanted to participate in the protest in support of Muslims, refugees, and other immigrants. Jordan said Spears led the way in helping her and the students make the decision to go to the protest. Students outside of these cultural organizations also attended the protest. Hannah Kelly, a freshman writing, literature, and publishing major, said she went because she disagrees with Trump’s new immigration order.